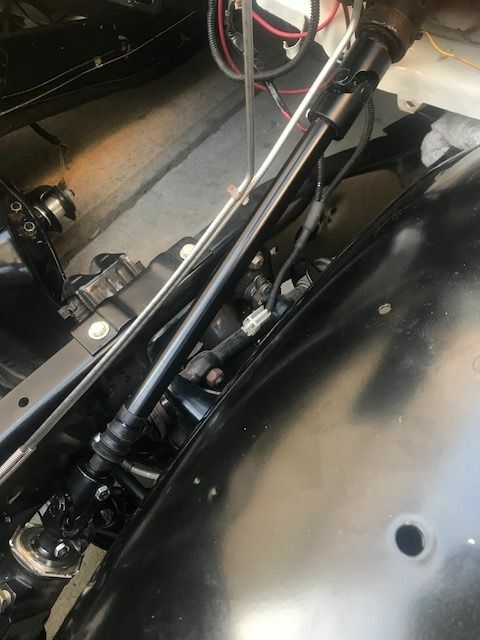 Guys what are the options to delete the rag joint at the steering box? 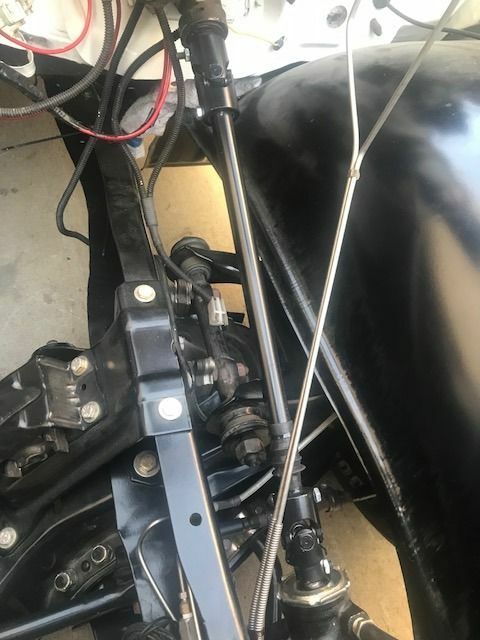 I know Borgeson makes a shaft with a universal joint at the column, but what if a guy wants universal joints at both ends like the jeep shaft mod common to 79-87 C10 owners and many many other restomod setups? Last edited by z71se; 10-10-2018 at 07:34 PM. I have heard of folks using a 1988-96 Jeep Cherokee (XJ) Intermediate Shaft as a replacement. I think you can also get shafts from IDIDIT and Borgeson, which are pretty expensive. Anyone know the size and spline count of the gear box? I'd like to order the Borgeson joints and make my own. Guys the answer to this question is Borgeson part # 000933. Pics installed as requested! Borgeson shaft part # 000933. Features a 48 spline 1" unversal joint at the column, and a 30 spline 3/4" universal joint at the box. This should be correct for 73-77 trucks before they went to the metric steering gear in 1978. I did have to cut the shaft down about 6". It does state in the Borgeson instructions that on certain trucks (I assume 2WD models) that the shaft will have to be cut down some. No problemo! Then it was primered and painted satin black. Hard to say yet since the truck is not self-propelled, but steering feels infinitely better and the new shaft is a great compliment to my rebuilt Lee Power Steering box.